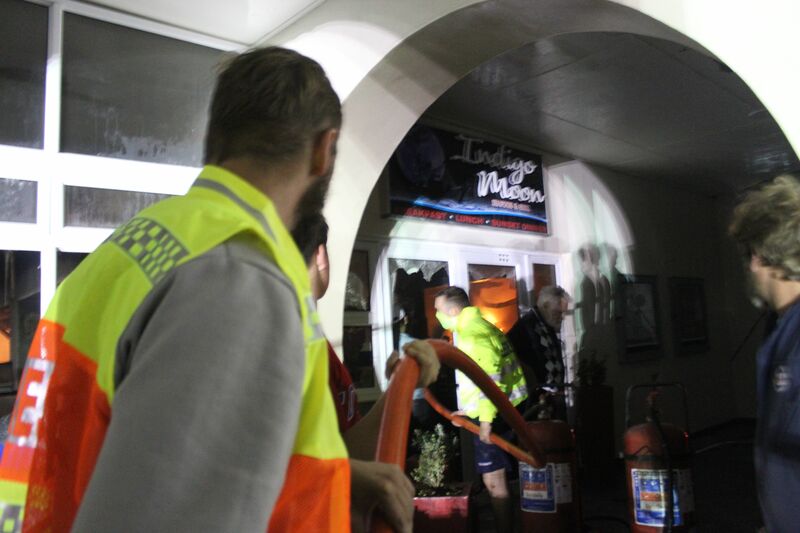 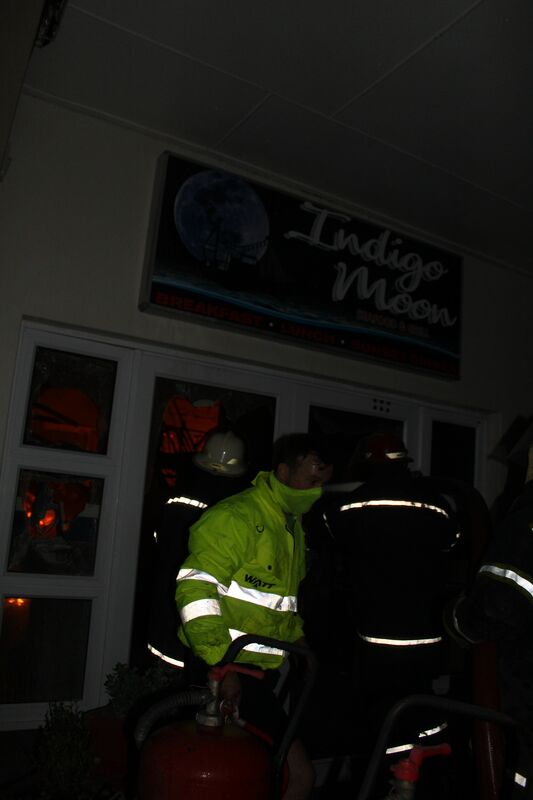 Indigo Moon restaurant at the St Francis Bay ‘s private port burnt down yesterday evening and one or two nearby shops were partially damaged. 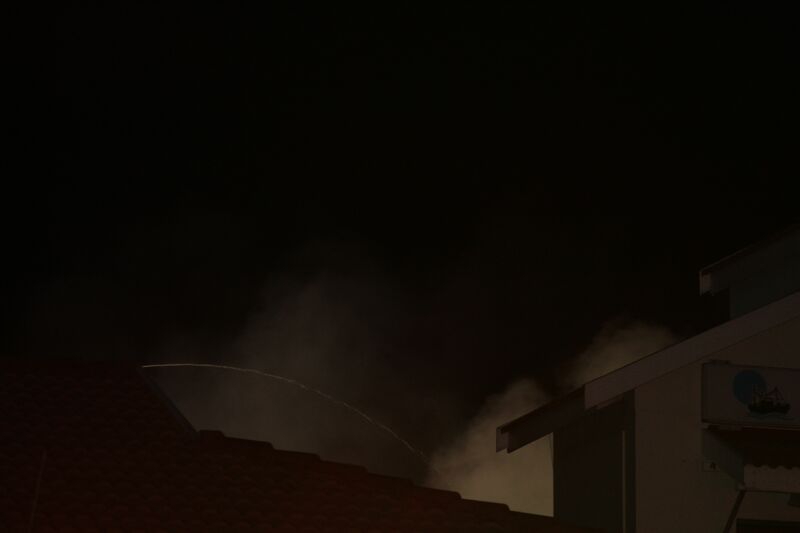 The cause of the fire is unknown at this stage. 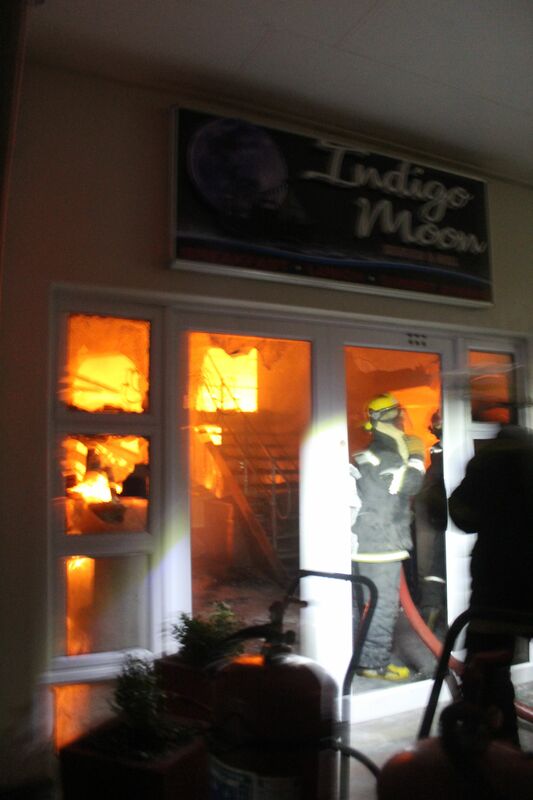 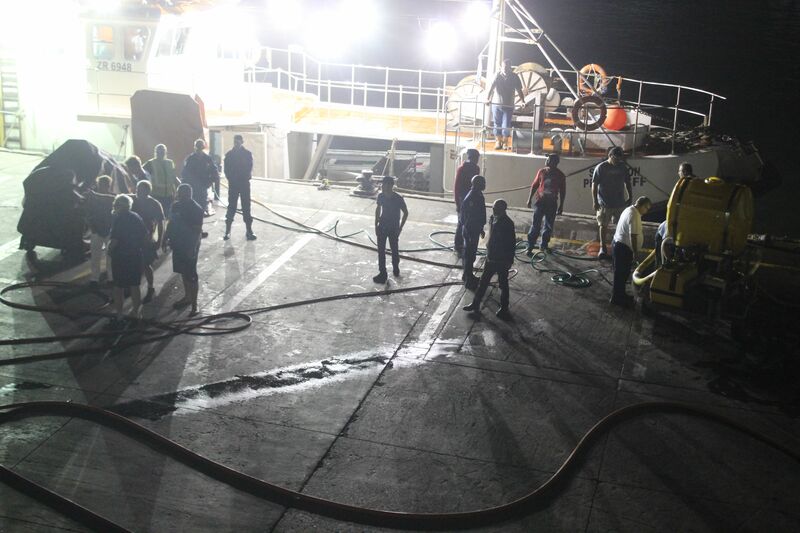 Witnesses who were first on the scene say about an hour after the load shedding stopped at 9.30 pm yesterday evening, 11 February, a loud explosion was heard at the port and upon rushing there around 11 pm, they found Indigo Moon in flames. 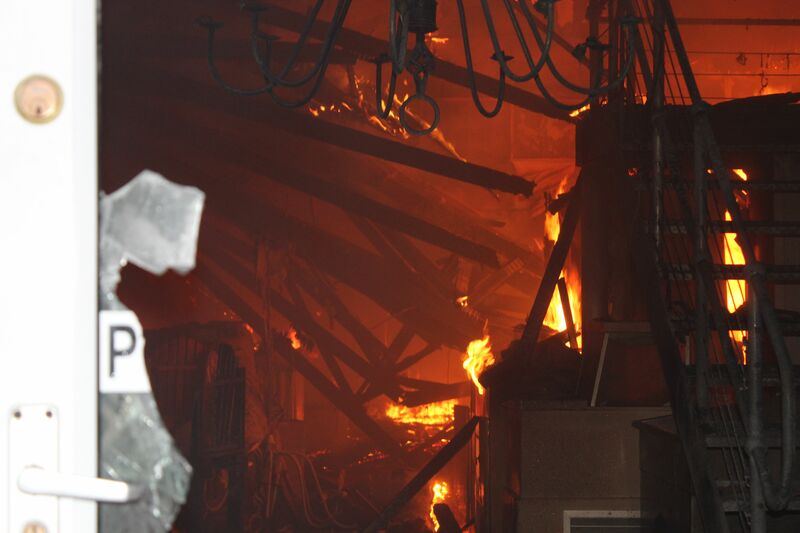 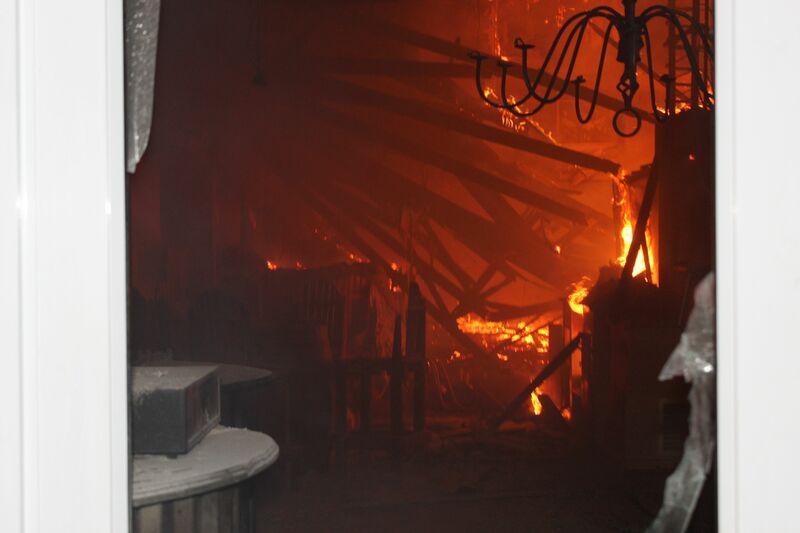 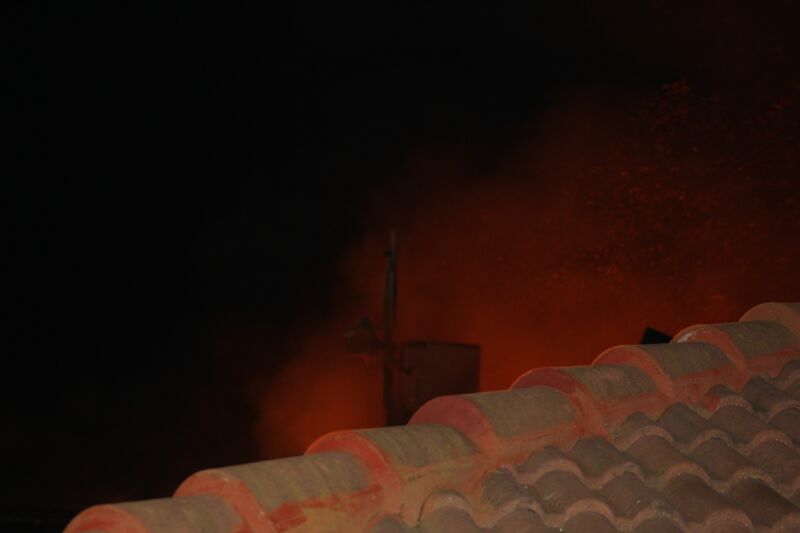 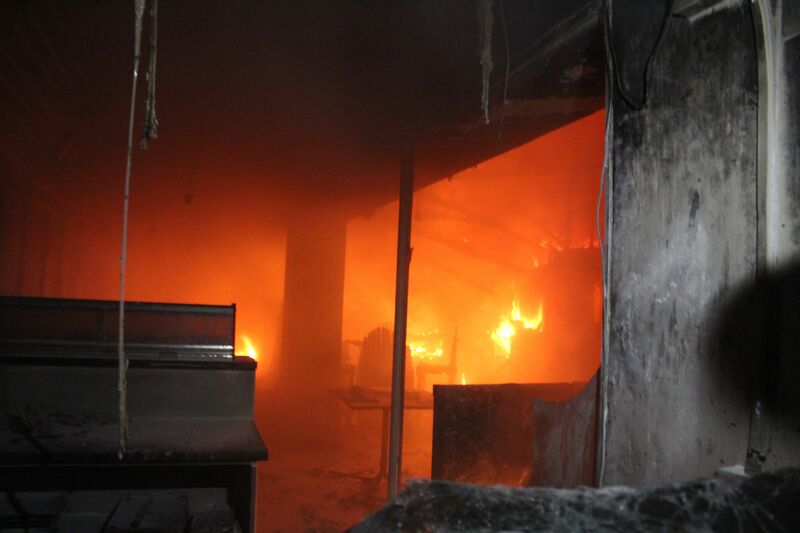 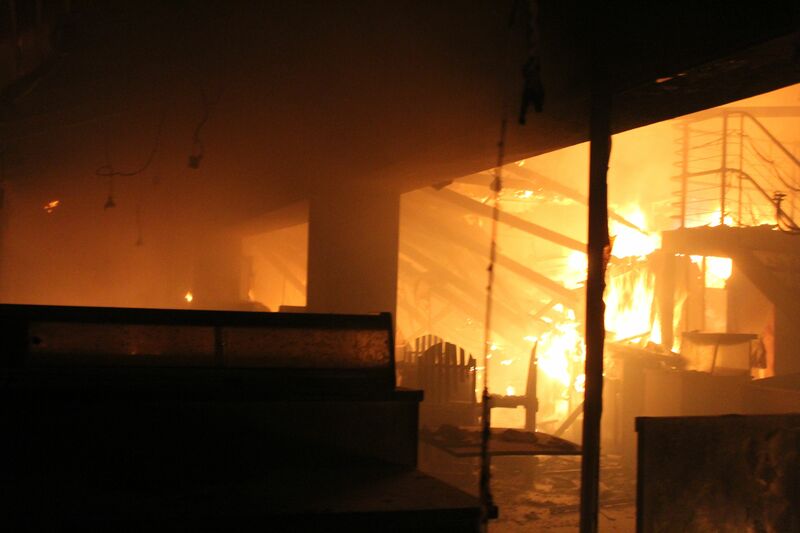 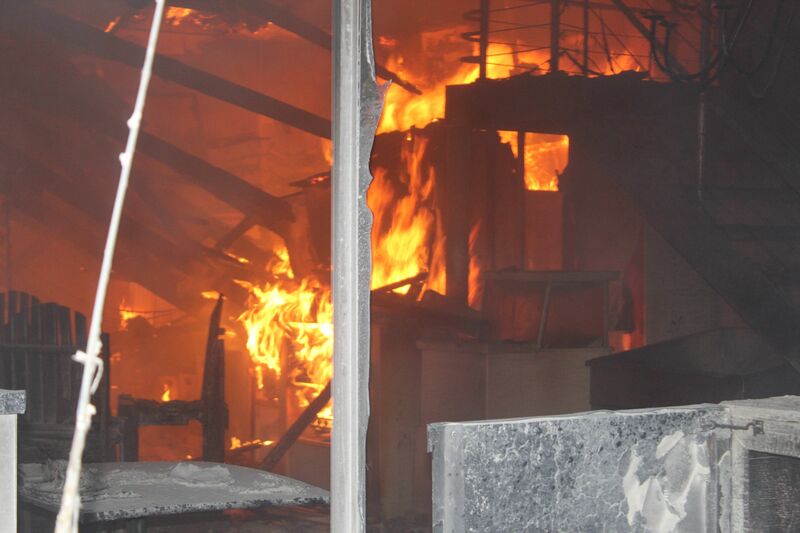 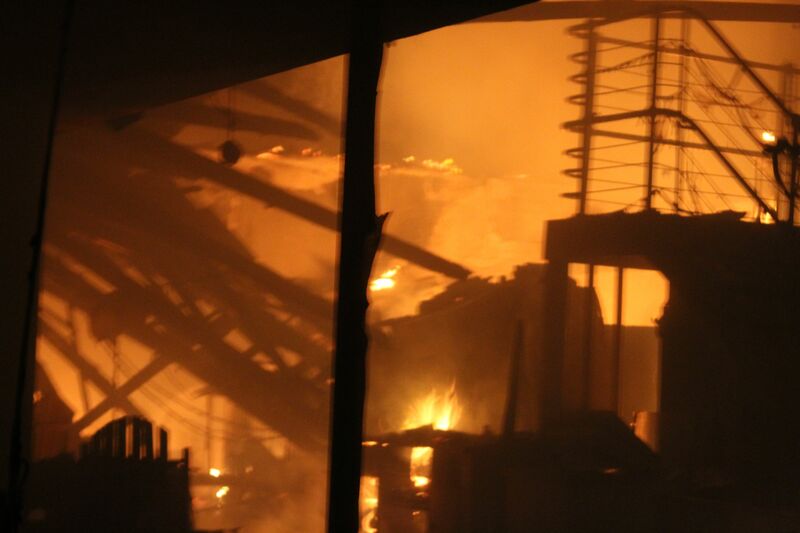 The flames spread rapidly and the whole restaurant caught alight so fast and was burning fiercely at 11.30 pm. 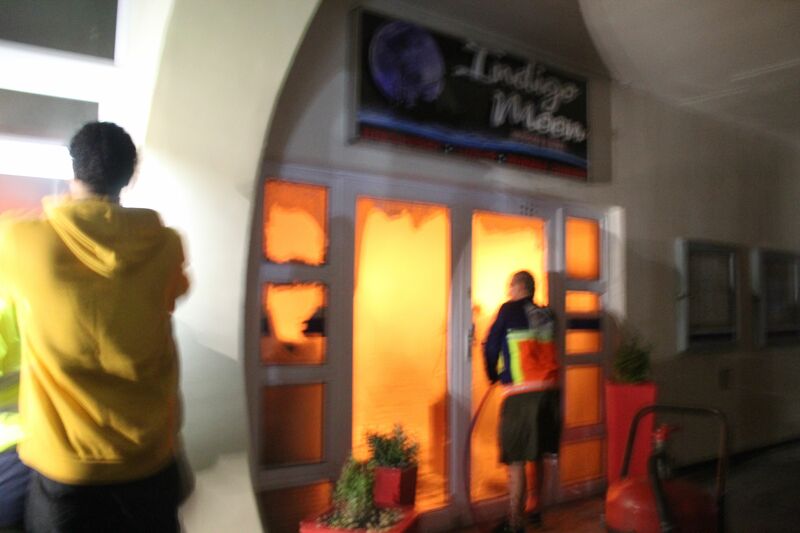 The restaurant had apparently been closed as it was a Monday. 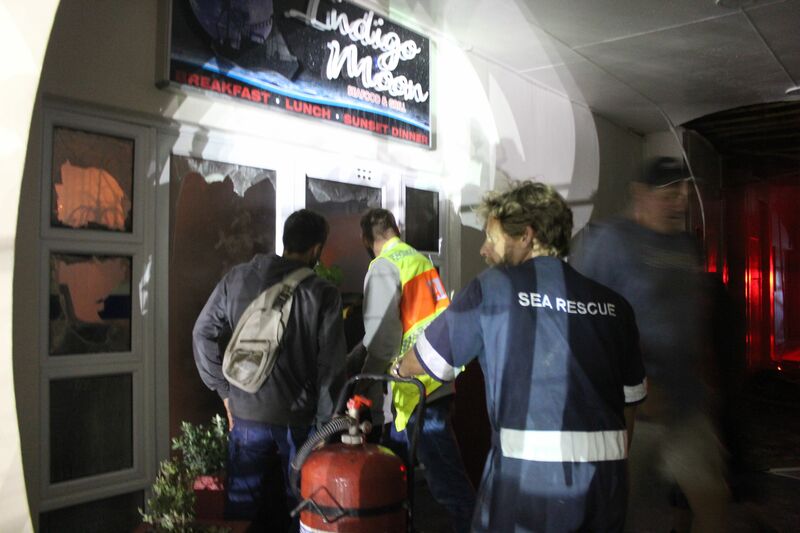 Owner Harm Steyn was not at the scene. 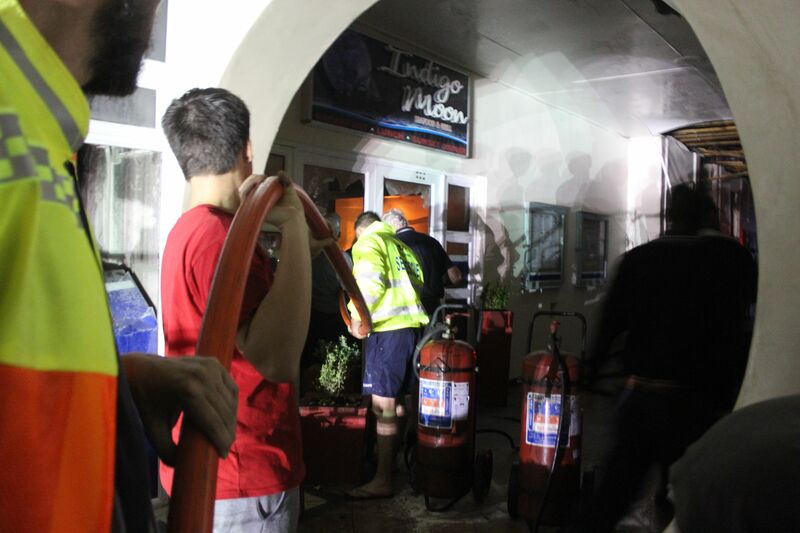 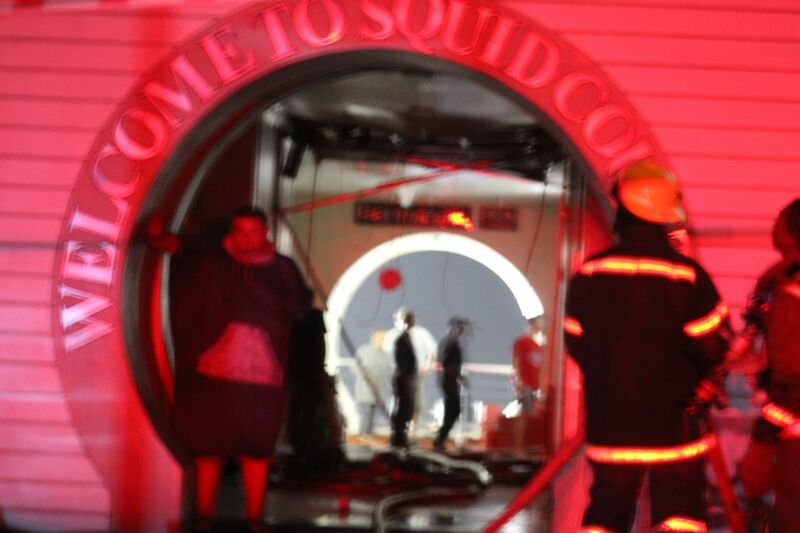 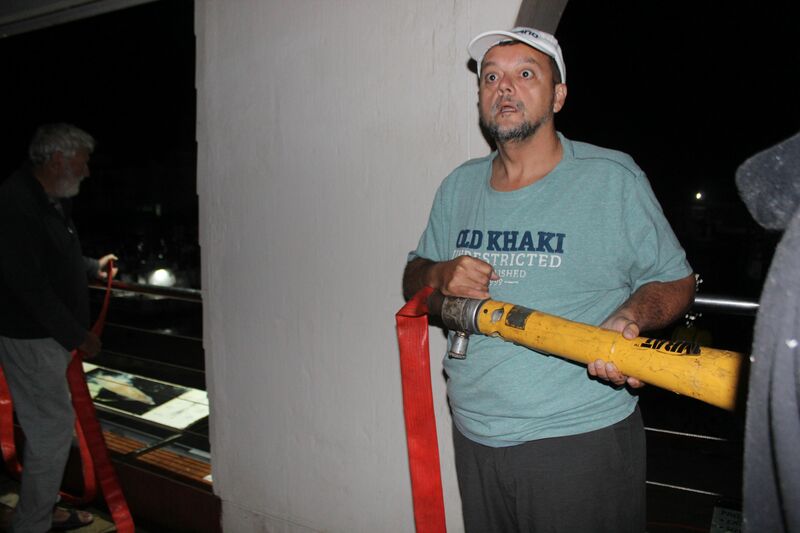 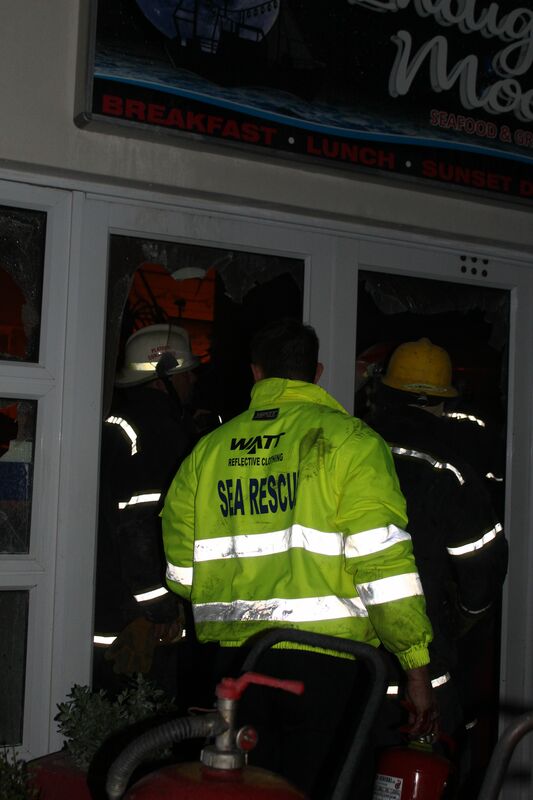 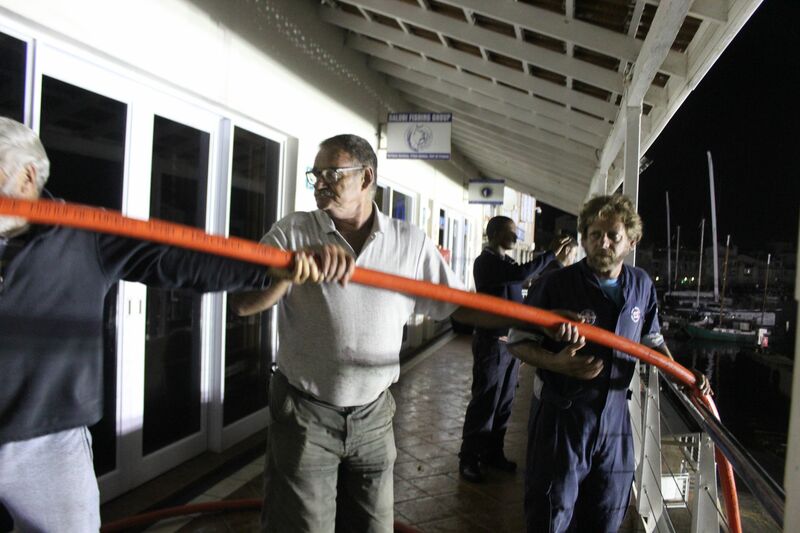 At this stage the fire brigade was still awaited and volunteers, including NSRI duty crew members, and an ex fireman, Clive from Chokka Block, were pulling hosepipes, attached to a pump at the harbour water’s edge down below on the jetty up and over the balcony outside the burning restaurant. 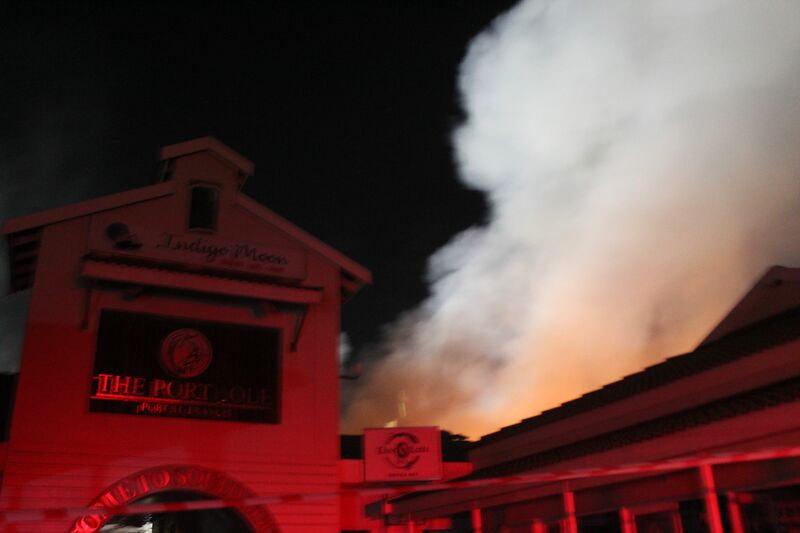 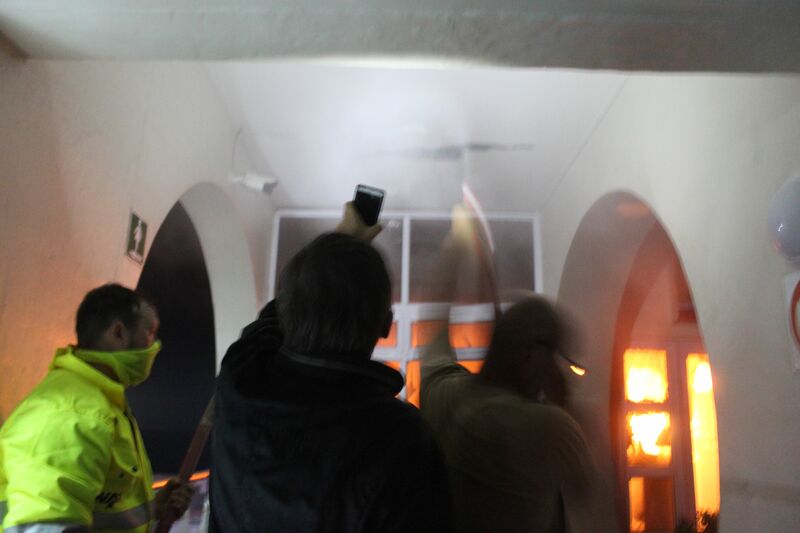 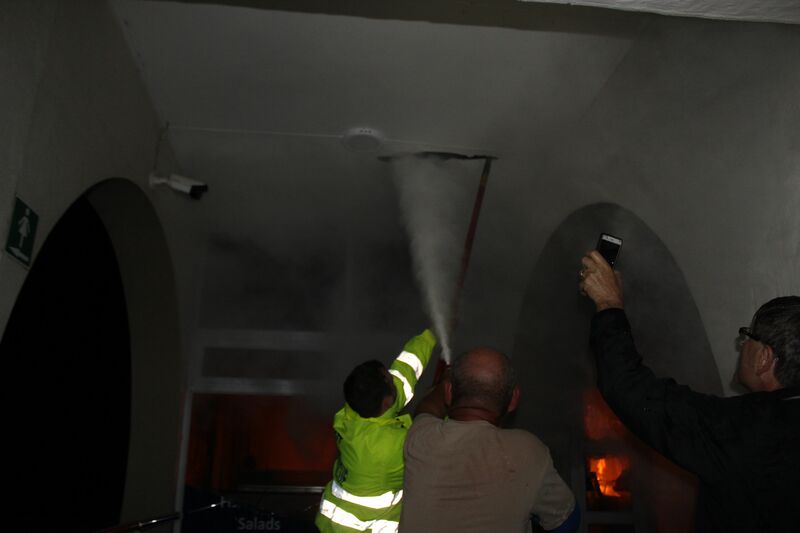 The hosepipes snaked upward over the balcony and volunteers used them to douse the passage way, roofs and walls outside the fiery restaurant to prevent flames spreading to other parts of the port building. 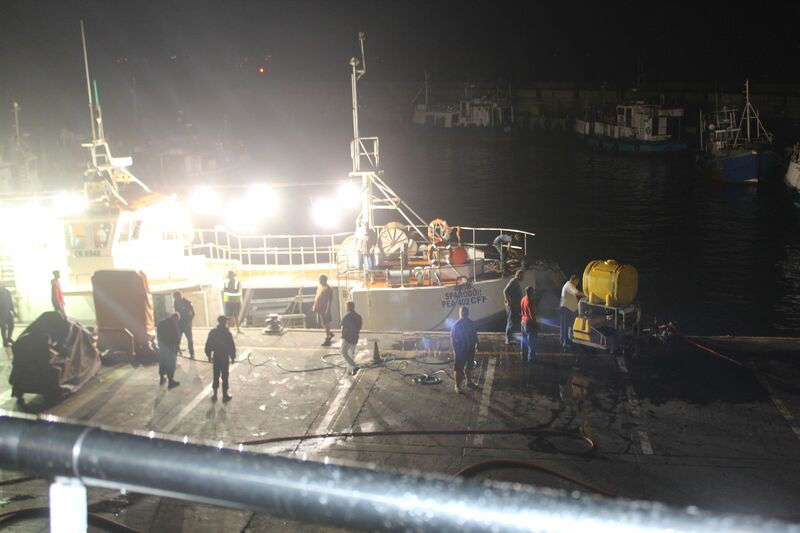 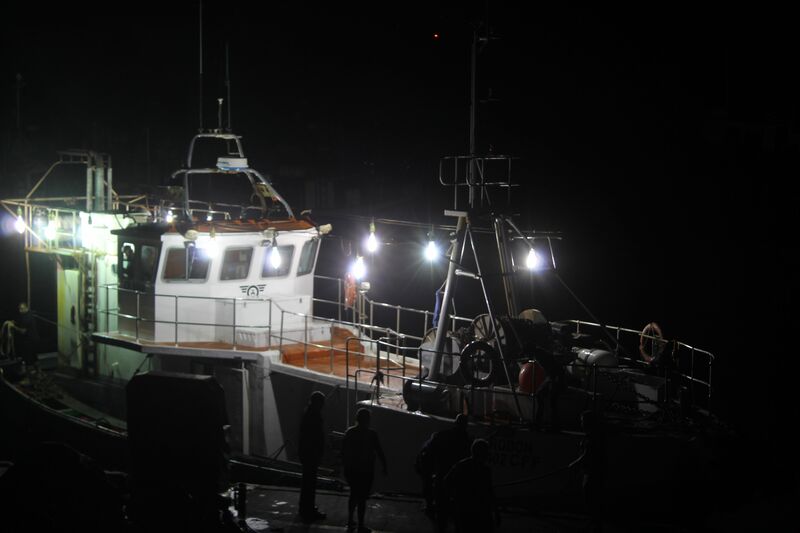 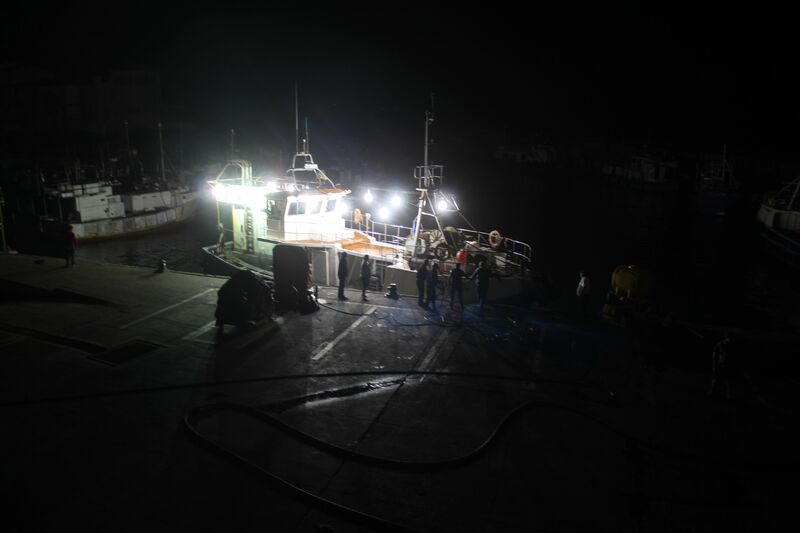 A chokka boat was brought right next to the jetty in front of the balcony to provide bright lights for those pumping water. 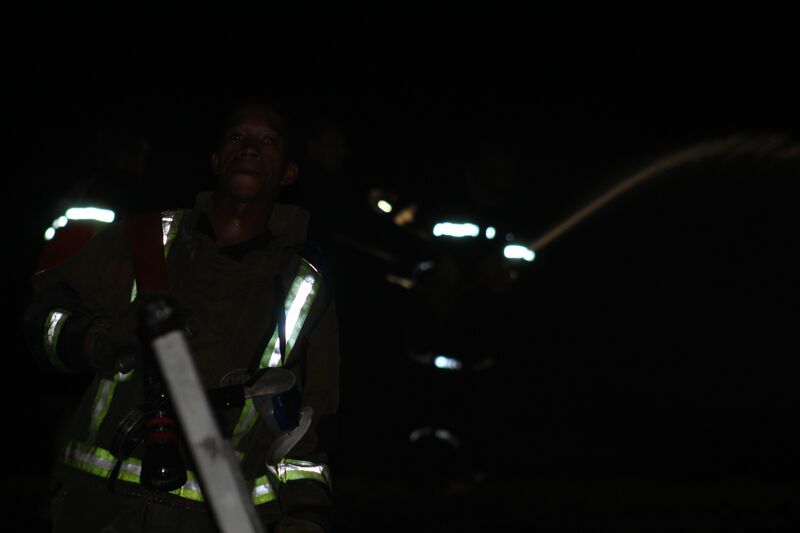 Craston Wilson from Balobi was at the scene. 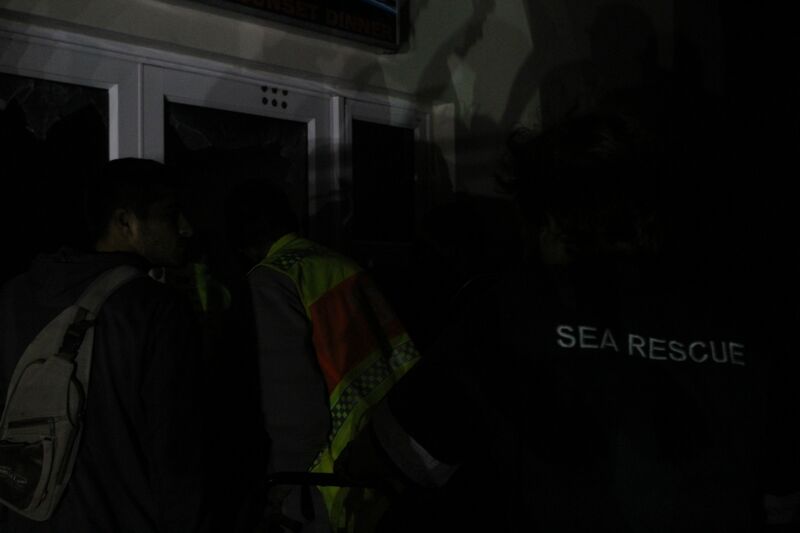 He and others thought it was possible that power surges after load shedding had stopped could have been a cause or contributed to the explsoion and start of the fire. 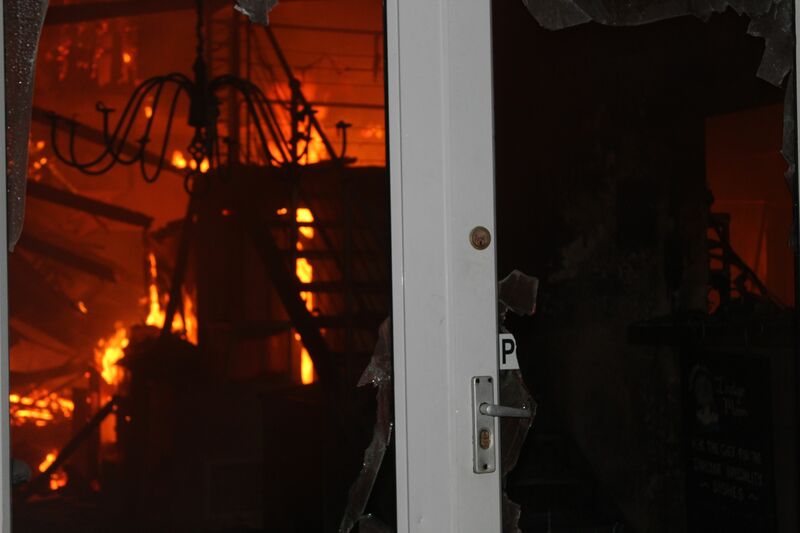 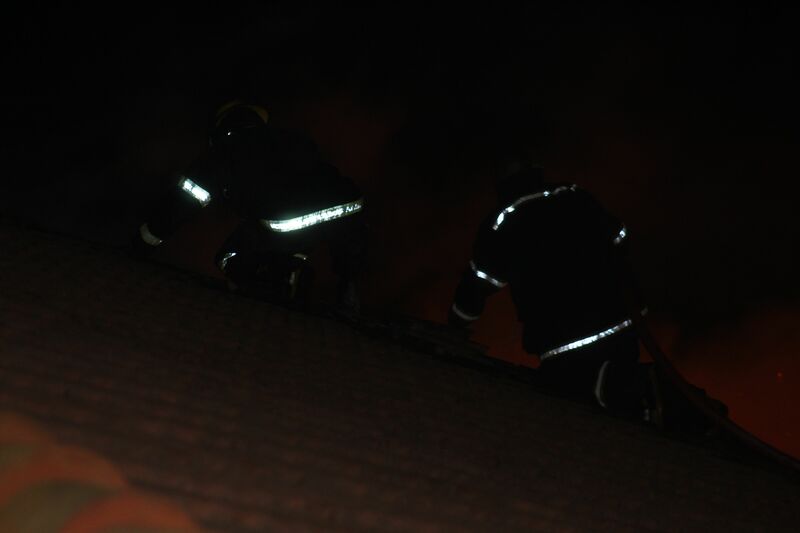 But a thorough investigation will be carried out to determine the actual cause of the fire. 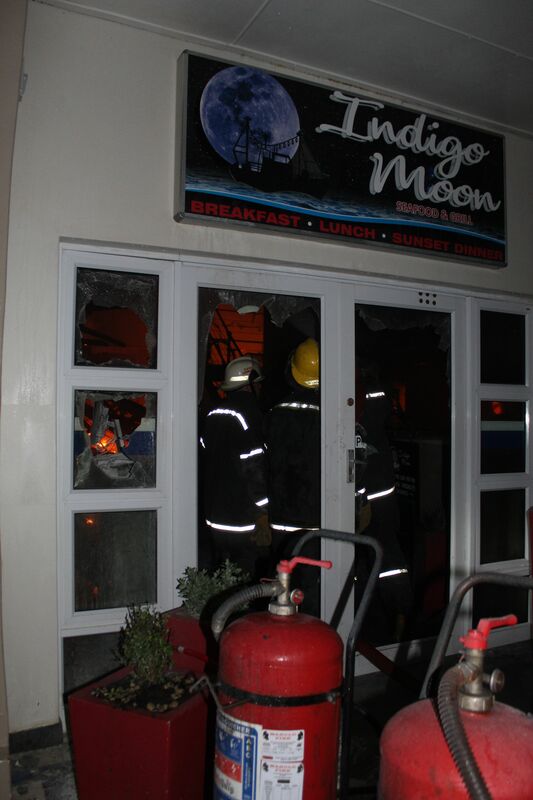 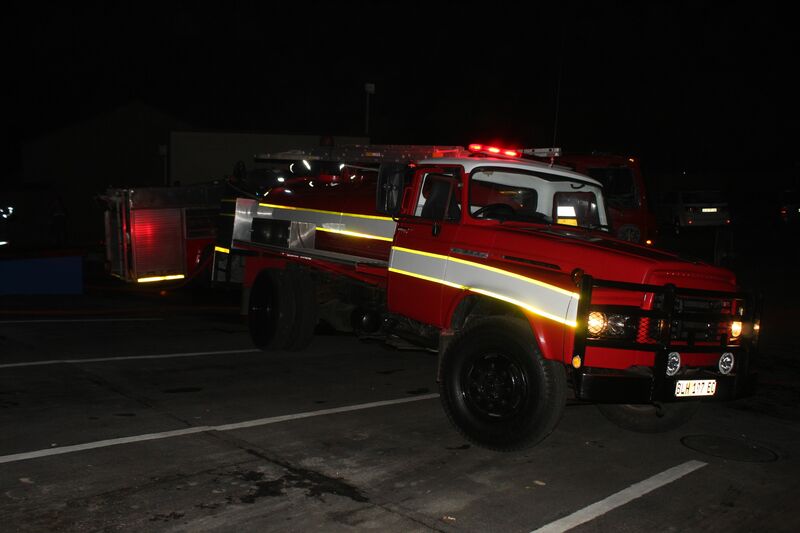 Kouga Firemen and two fire engines arrived a bit later and managed to douse the flames fairly quickly inside the restaurant. 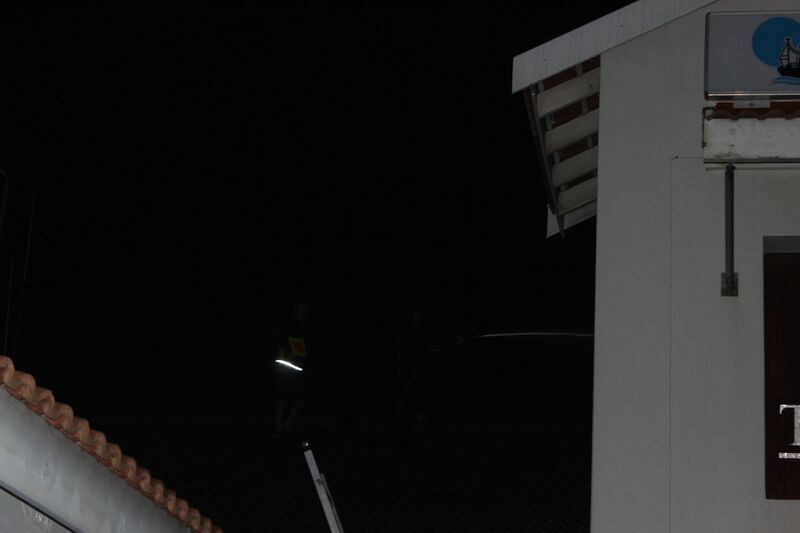 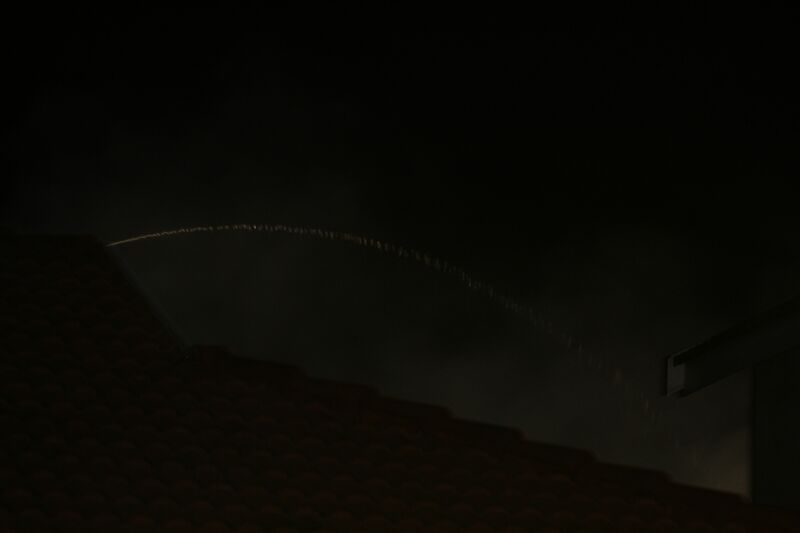 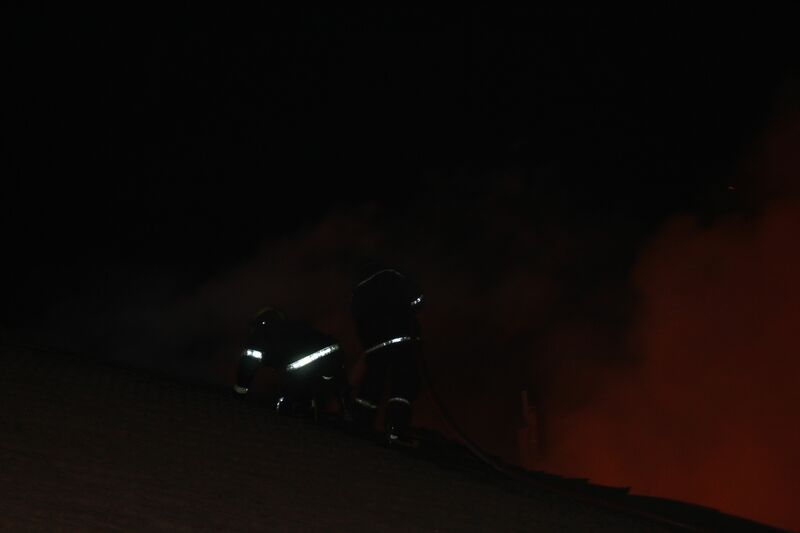 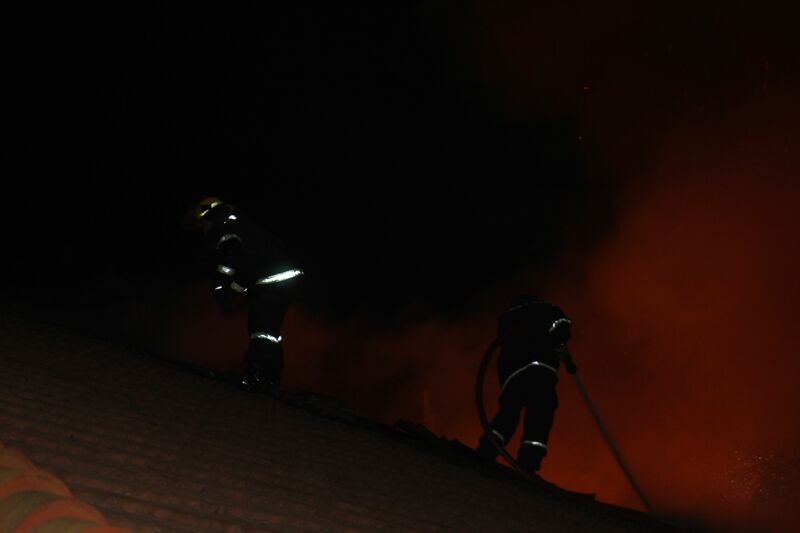 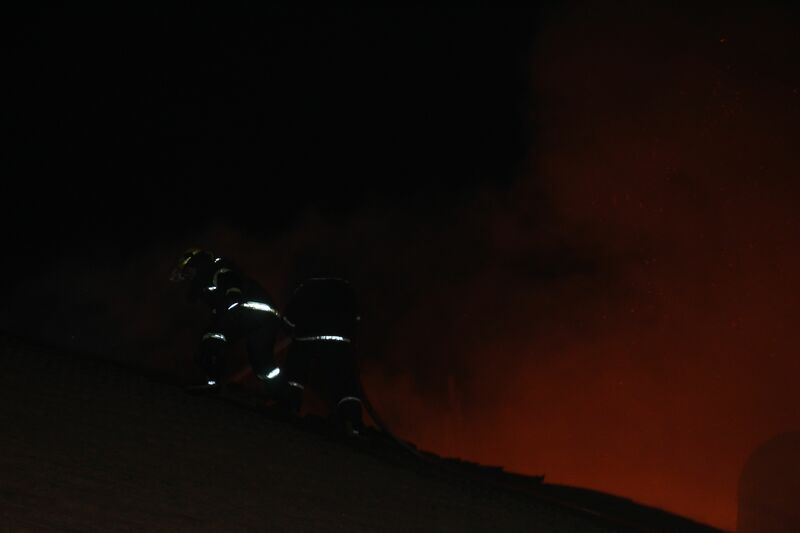 The roof was still burning and firemen scaled the roof from where they continued to douse flames. 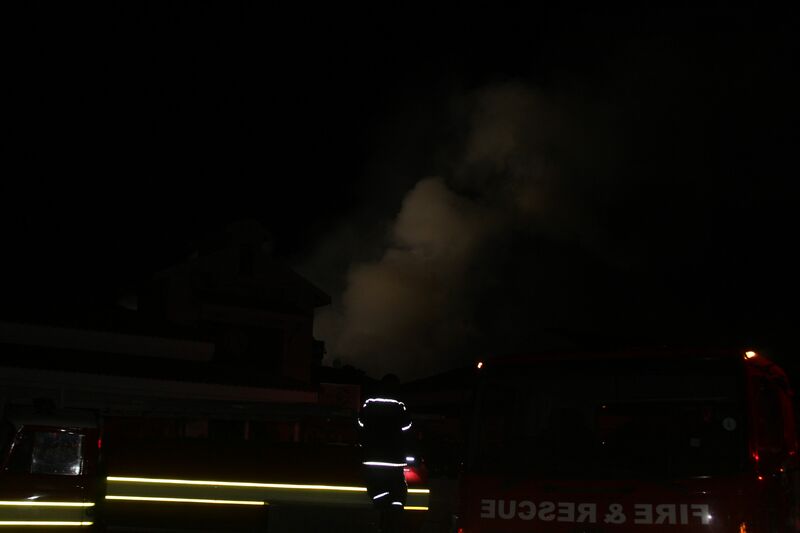 Huge billows of smoke rose in the air. 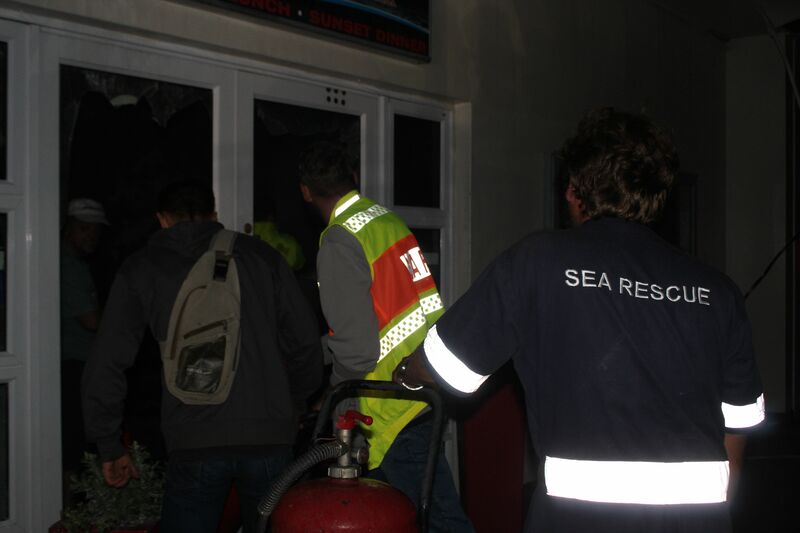 Other port shop owners were seen hurriedly removing computers and files from their nearby shop premises. 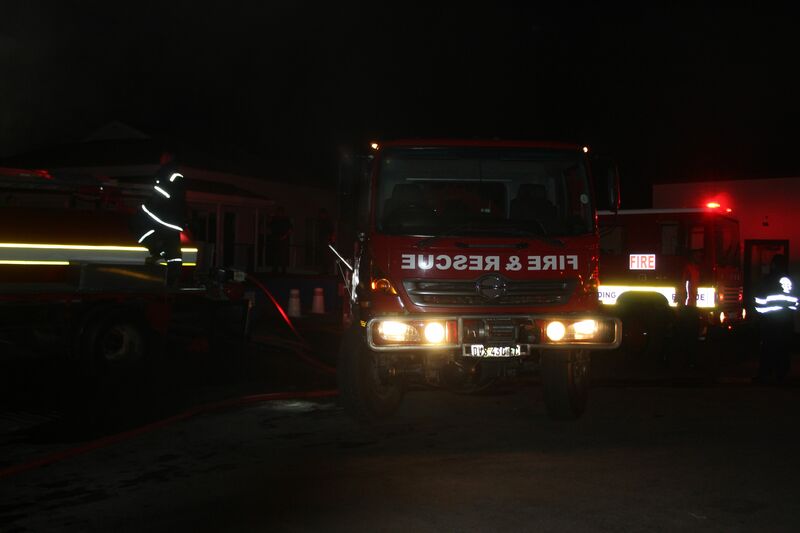 All the volunteers and the firemen are to be highly commended for their hard work in containing the fire area, extinguishing the flames and preventing it from spreading.